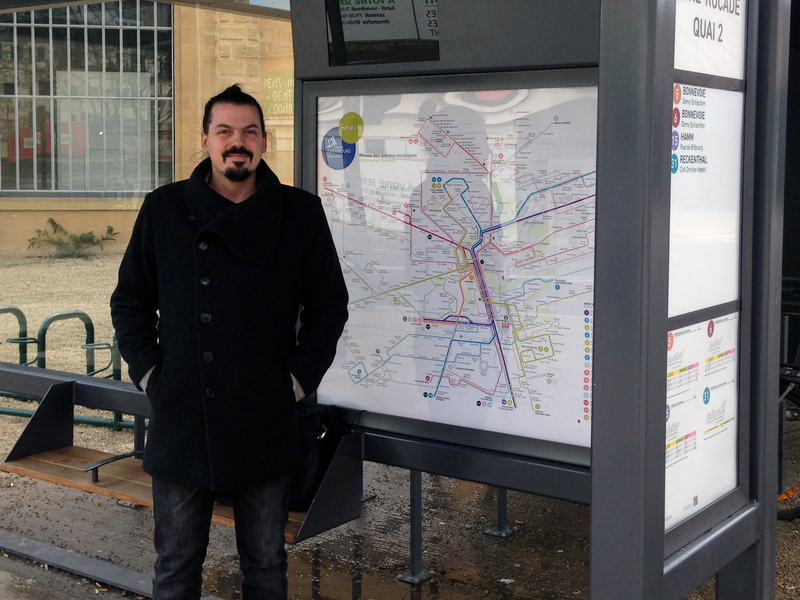 A while back I did a post on the subway maps of the Paris-based Serbian designer Jug Cerovic. His style is to look for distinguishing features in the geometry of the network structure, and highlight these to give a sense of order. … but the cool thing is not just the map but his explanation of his design process, which I highly recommend. If you’ve never seen a subway track map, I suggest you look at this one, for New York, by “radical cartographer” Andrew Lynch. Most track diagrams are not to scale, and look like they’re meant to make to make sense only to insiders. But this one is beautiful. What’s more, it’s accurate in geographic scale, though of course the separation of tracks can’t be on the same scale as the network. Still, New York’s subway is both huge and full of details, so this is no mean feat. Only 22 insets were required, to zoom in on tricky segments. Gazing at a good track map can give you an appreciation for the heroics involved in moving trains around in this limited infrastructure. Switches and extra tracks are very expensive underground, which is why they are never where you need them to handle a particular incident. This, for example, is why a track closure at one station may continue through several stations nearby. 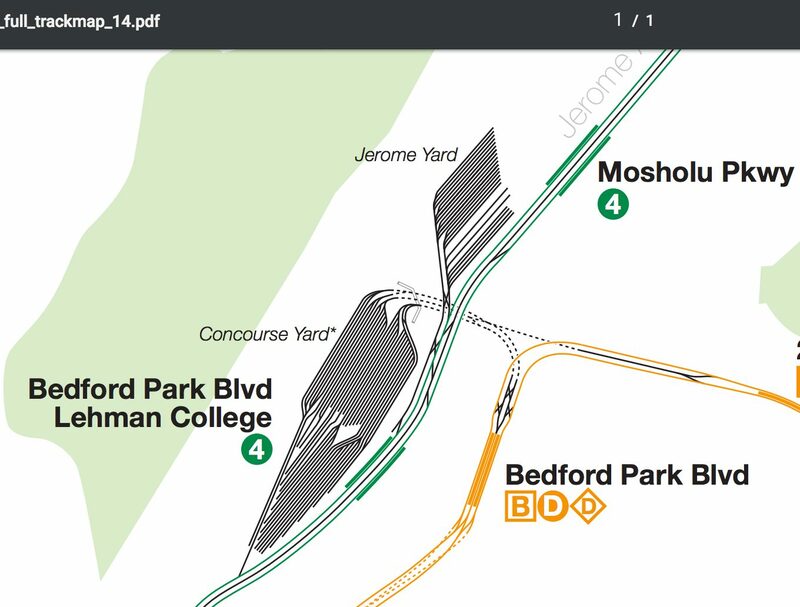 Gaze at this piece of the Bronx, and marvel at what a train would have to do to get from Jerome Yard to a station on the Orange (B+D) line. I presume they don’t have to do this very often, but in a pinch, they can. I spent a delighted hour with it. Maps that help people see which services are coming soon are remarkably rare in Europe, for a variety of complex reasons. Some European systems have such high frequency overall that it may seem unnecessary, but there are usually still significant frequency contrasts that matter. Now, there’s a great example out of Luxembourg. The Paris-based Serbian designer Jug Cerovic has been featured here before, for his interest in making networks clearer by emphasizing a core geometric idea. Not just for beauty, but as a way of combatting the mental overload that complex maps can cause. Obviously this is a diagram, seeking network clarity rather than precise fit with local geography. The core geometric idea is the pentagon, a feature of the Luxembourg CBD that he uses, but not to excess, in arranging patterns. He explains his design process here. While I was at the CNU conference in Dallas, Charles Marohn of Strong Towns did a great podcast interview with me and James Llamas of TEI. We talked about the Houston network redesign, why it was needed, why it was hard, how we got it through to implementation, and what other cities can learn from it. 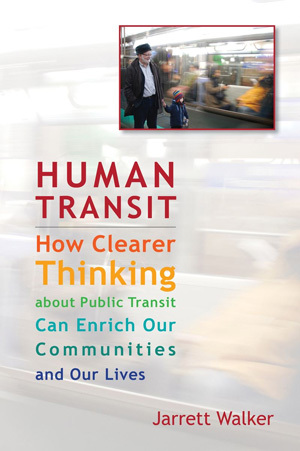 A few years ago we assisted San Francisco Municipal Transportation Agency in rethinking how they talk about the various services they operate. Our key idea was to classify services by tiers of frequency, while also distinguishing, at the highest frequency only, between faster and slower services. In extensive workshops with staff, we helped the agency think through these categories and the names to be used for them. It's great to see the result coming out on the street. The old-fashioned term "limited," for example, been replaced by "Rapid," a new brand that emphasizes speed and reliability improvements as well as frequency and widely spaced stops. Notice how much information you can get just from this fuzzy picture. 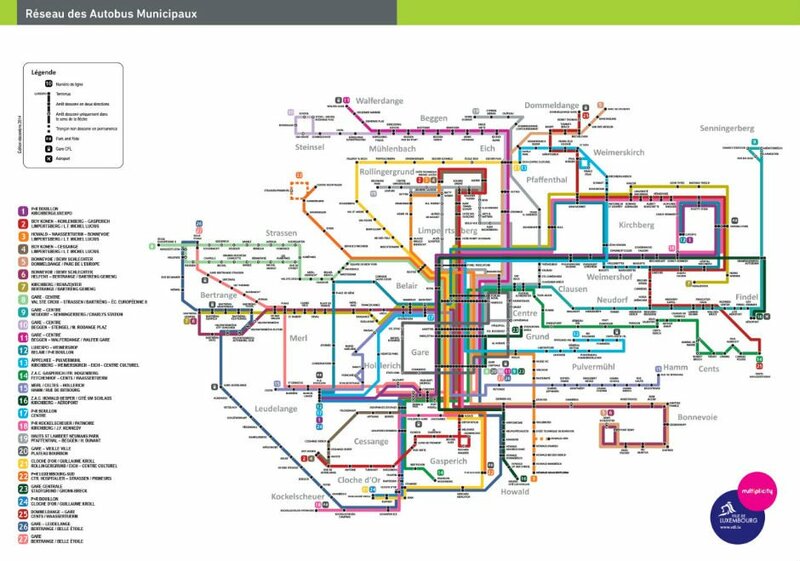 Most transit maps are total nonsense at this resolution, but in this one, even though you can't even see the legend, you can see the structure. All you need to know is that bigger, brigher lines are more useful lines, because they tend to be faster or more frequent. In other words, this works just like any coherent street or map (paper or online) in which the faster roads are more visually prominent. Any good map is legible at multiple levels of attention, including very zoomed out like this, and in loving detail of every right and left, which you'll also admire if you zoom into the massive PDF. 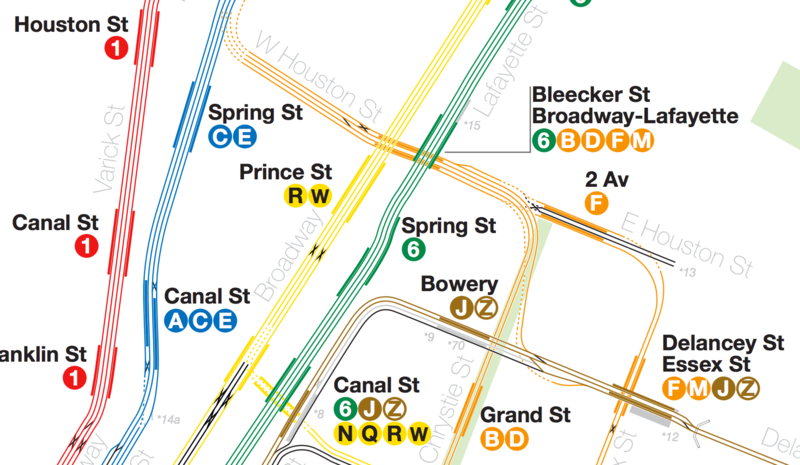 Why has it taken so long for transit maps to get this clear? Well, first of all, you have to figure out that frequency, not speed, is the primary equivalent of speed in a highway map. Highways and streets can all be ranked by their design speed, but in transit, frequency trumps speed in determining most kinds of utility, and speed distinctions matter most where frequency is already high. What are the other barriers to maps of this clarity? Well, you have to decide whether your goal is information (helping people understand their options) or marketing (which at its worst means deliberately confusing people so that they do you want them to do). I have always argued that in transit, clear and beautiful information is the best marketing, but many professional marketers disagree. This map is glorious because it's 100% information. Services aren't highlighted because someone thinks that they serve "target markets" or "more important demographics", for example. Everything is mapped, and named, according to its potential usefulness to anyone. The more diverse the range of people who'll find a service useful, the brighter the line is. Of course, it doesn't show everything, but that's also why it's clear. I'm sure I will be bombarded with comments pointing out that they don't show how San Francisco's network connects to the wider region's, and that they don't show how transit integrates with cycling, walking, private transit, Segways, and whatever else. Including too much non-transit information is also a great way to make transit maps confusing. This map is just what it is, a map of San Francisco's fixed route transit network. 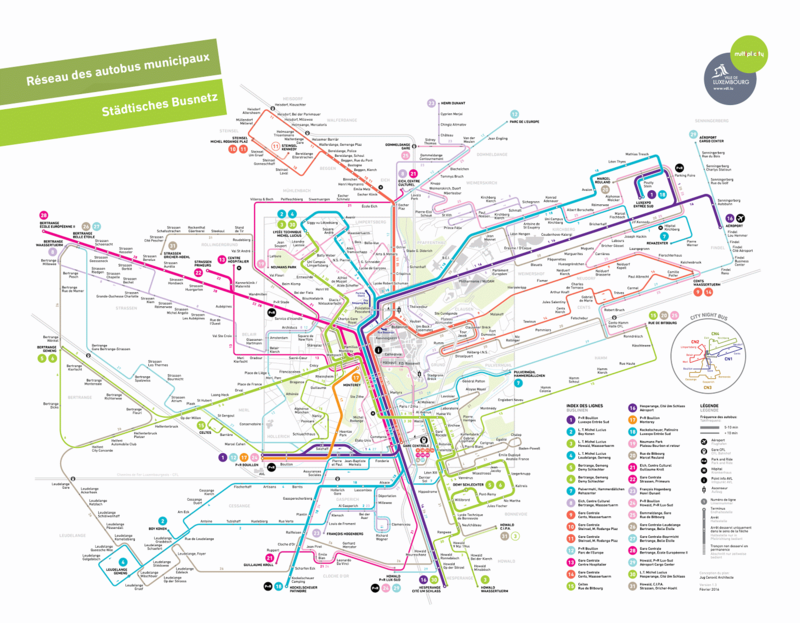 It's also, in my experience, one of the best in the world, something even the world's best transit systems could learn from. Last summer, we covered an exciting new transit planning tool called Transitmix. 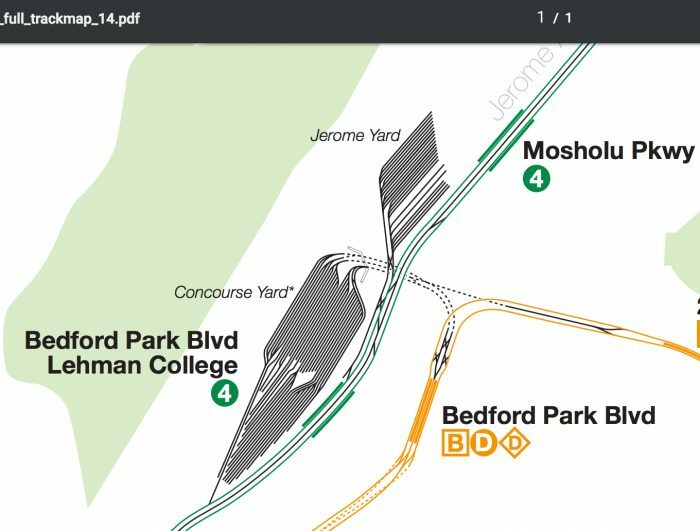 Transitmix grew out of a Code for America project that sought to create a web-based tool to automate much of the complex yet mundane work that goes on in the background during transit planning. Cost estimation, line measurement, population and employment coverage analysis, are all examples of tasks that require time and effort such that they cannot all be carried out in real time during a planning meeting or workshop. The team at Transitmix reached out to transit planners all over the county (including our firm), learning what did and didn't work about current practices and workflows. They created a beta version of a simple online tool that hinted at what might be possible. Finally, last week, Transitmix released a new video announcing the impending release of the professional version of the application, with critical features that offer the promise of a dramatically simpler, more open, and more easily understood transit planning tool. Dynamic demographic and employment mapping and analysis, and side-by-side network and route comparisons are the main new features implemented here, to go along with the live updated costing, and deeply configurable frequency, span, and cost parameters the older version already includes. Transitmix continues to impress, creating a tool that simplifies and demystifies procedures that are too often known only to practitioners. We look forward to getting our hands on the full-featured product. Understanding and decisionmaking in transit planning requires many inputs. These include agency staff expertise, all sorts of public input, performance and operational data on costs and ridership, and an array of supporting demographic information. However, when it comes down to questions of rights-and-lefts, at the lowest level of planning altitude, one source of information is critical: aerial photography. Is the traffic median of this boulevard wide enough for the bus to use to make an uncontrolled turn without blocking traffic? Is there a place at this intersection where we could locate a new stop? Can pedestrians cross this road? Have people created their own use paths to shorten their walk from a subdivision out to the bus stop? Can a bus make this turn? These small issues can have a big impact if they require substantial redesign (for example, finding a new turnaround), so it is important to get as much right as possible during design. To do this, we rely on aerial and satellite photos. Sometimes very high-resolution imagery is available from local governments, but more often we turn to Google Earth, due to its speed and ease of navigation. However, Google Earth is a limited tool – its images range in quality from new and crisp to dim and out of date. Nearmap is an alternative to Google Earth that has grown more and more impressive. Initially confined to Australia and New Zealand (I used it all the time when I lived there), it now includes all large US cities. The site's best feature is the very recent, aerial high-resolution imagery it offers, but it also has nice image capture and layer overlay tools, all in-browser. Google Earth has long been a critical tool because of its position between true GIS, with its steep learning curve, and consumer maps like Google Maps. However, while some nice features have been added over the years, the software is still much the same as it was back in 2005. Products like Nearmap, as well as the host of applications built on platforms like Mapbox, OpenLayers and Leaflet, are important because they offer some of the flexibility of GIS (importing layers, creating features), with the familiar toolset of web map navigation that most people are now familiar with. Maps have always been a powerful tool. In a planning process, better maps can help enable better decisions to be made. Updated 30 Dec 2014 to clarify that Nearmap is aerial, not satellite, which is part of why it's so sharp! Here's a new citizen entry, from Perth, Western Australia, by a Mr. OC Benz on the Bus Australia discussion board. Although the definition does not include weekends, when Perth service levels drop sharply, the map is remarkable nonetheless. 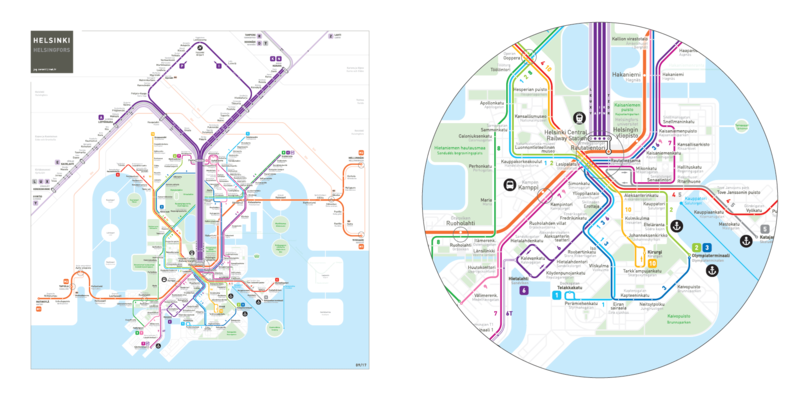 Greater Perth is a young and mostly car-oriented area with a population of around 2 million, but it has a lot of frequent bus service — more than Brisbane, its closest peer in both geography and economics, and far more than almost any US city of similar size.